The experience of intervention in Afghanistan and Iraq has caused a “change in public mood” that must be put aside to fight Islamic State, UK Foreign Secretary Philip Hammond has said. Hammond made his comments in a speech at the Chatham House foreign policy think-tank, ahead of Tuesday’s meeting in Paris of foreign ministers from the Global Coalition against Islamic State (formerly ISIS/ISIL). 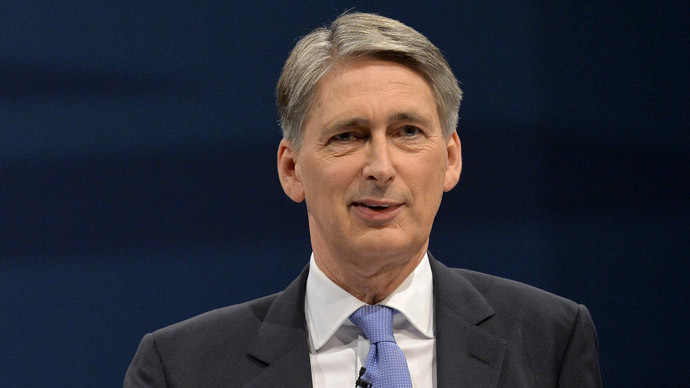 “I will discuss with key partners the military campaign and the coalition’s efforts to cut off ISIS’s finances, reduce the flow of fighters, undermine their brutal ideology and stabilize areas liberated from ISIL,” Hammond said. As well as contributing the second-highest number of airstrikes, the UK already has around 100 British troops in the region in mentoring and training roles, mostly with Kurdish irregular forces. On Sunday, it was reported that the UK’s National Security Council, composed of politicians, senior military officers and intelligence chiefs, is considering whether to increase the number of UK troops committed to training tasks. The Russian foreign minister reiterated the country’s position on resolving the conflict in the region. “We certainly believe that only a political settlement is possible for Syria, and we also believe that the Geneva communique three years ago is the basis [for this],” he said.